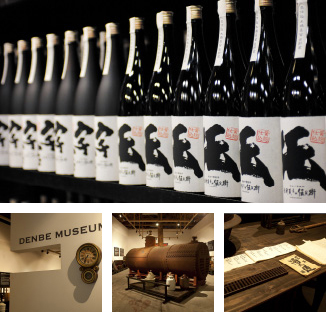 Denbeegura Shochu distillery was founded in 1868. 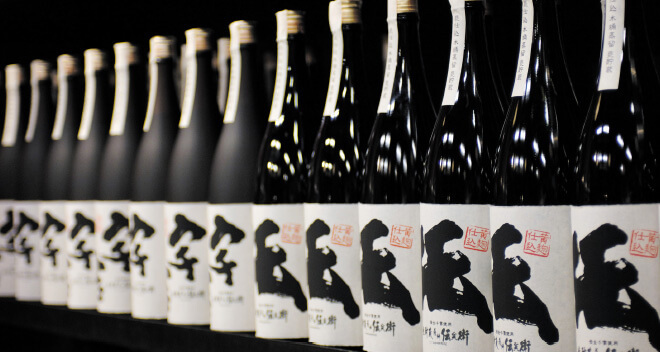 It has been embracing the traditional taste, craftsmanship and spirit of Honkaku Shochu. 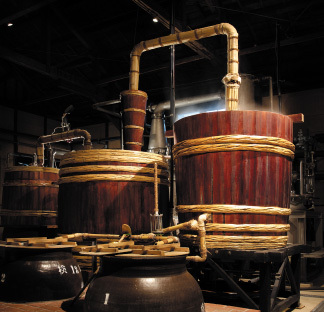 In this Shochu distillery every Shochu is hand made. 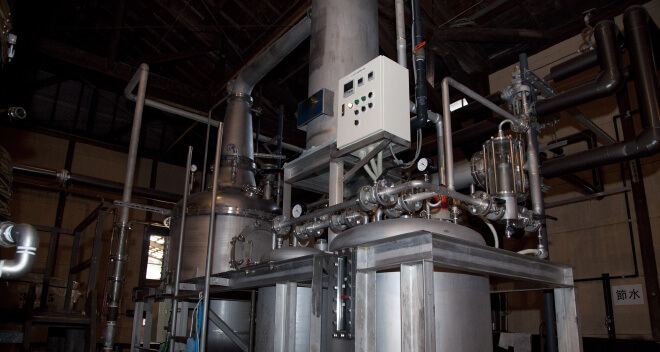 Denbeegura has put in place strict requirements on everything it uses from the fermentation jar, pot still to the koji mold chamber. 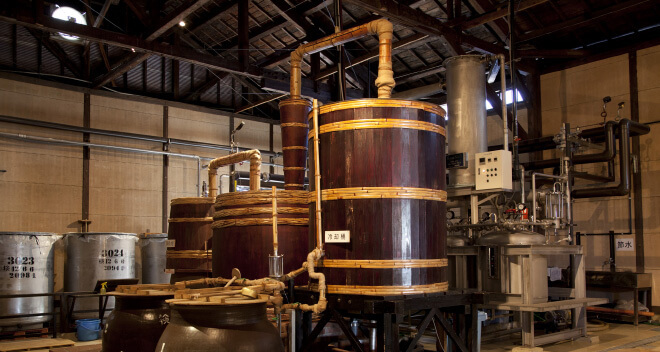 The skills honed over the years produce the unrefined Shochu of sophisticated Honkaku Shochu. 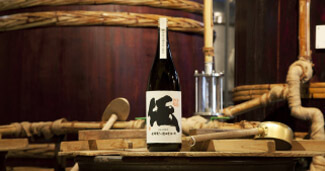 We pay close attention to the weather, temperature and humidity of the day because we consider Shochu production to be a craft and therefore hand make everything. 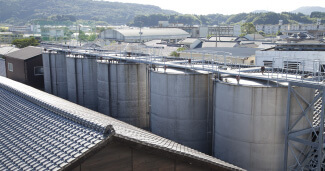 Our master distillers take pride in making Honkaku Shochu and do everything they can to maintain the mild flavor and dignified air because these are hallmarks of Denbeegura. 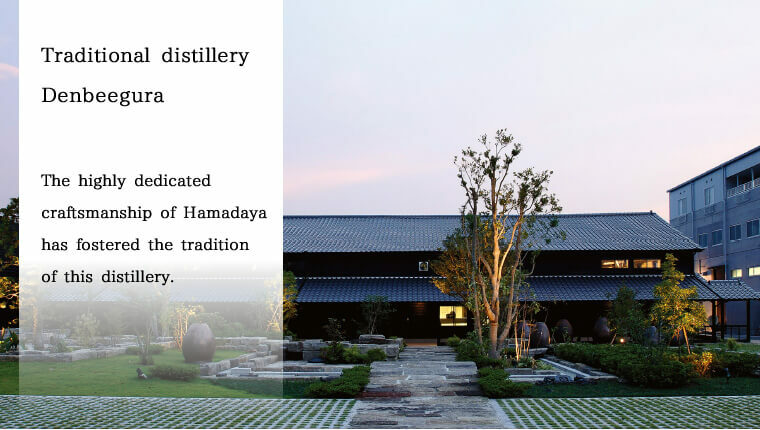 We believe such a dedication is essential to maintaining tradition and work hard to produce Shochu to please the palate of everyone. 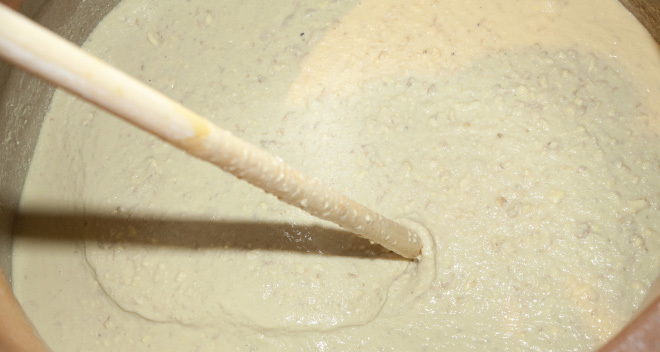 Traditional wooden pot still brings back the taste our founders produced. 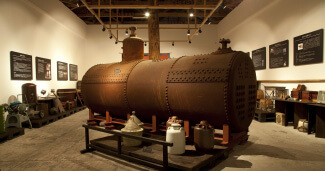 We also have stainless steel pot still the designing of which incorporates Hamadaya's know-how. 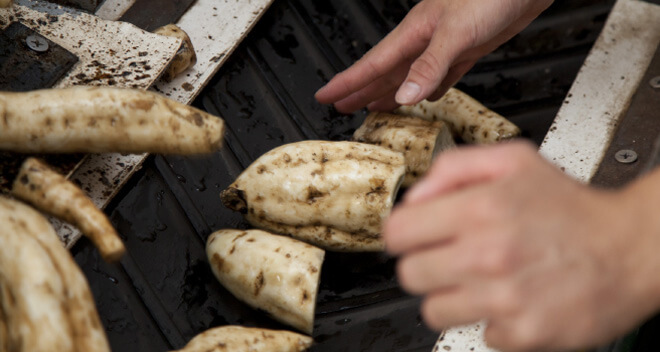 We make it a rule to use only the raw ingredients produced in Kagoshima Prefecture. 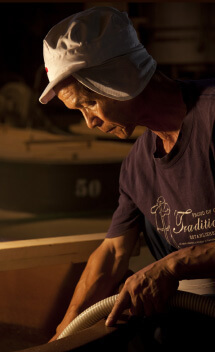 We do each process with great care and stick to our made-by-hand method. 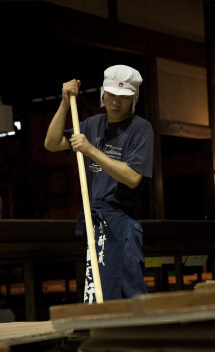 Our professional skills, honed over many years, are the bedrock of Hamadaya's Shochu making. 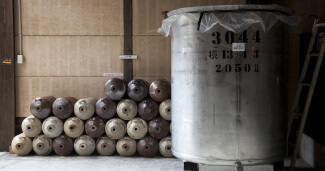 Koji mold, water, air and jars are all alive. 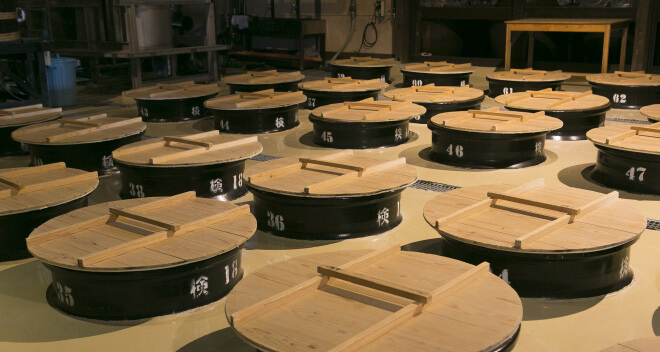 We take great care to keep an environment in the Shochu distillery that allows these living creatures to do their job. We stick to our traditional production method by using jars. 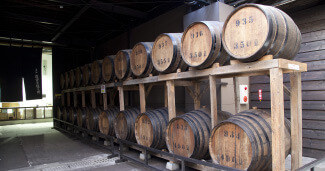 Difference in aging and storage methods creates different characters of Shochu. We at Hamadaya take pride in doing what we do with great care every day. 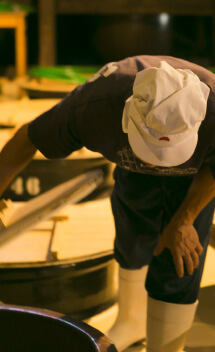 Distillery workers dedicated themselves to producing Honkaku Shochu with great care. Denbeegura is always open for visitors. 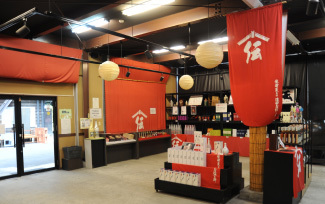 The distillery has a shop where you sample a variety of Denbeegura shochu products and buy the one you like. 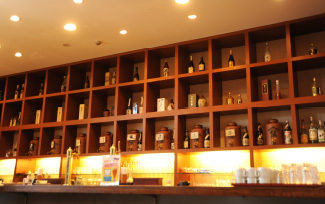 Adjacent to the shop is Shochu and Restaurant Denbee where you enjoy not only lunch but also a dinner with Shochu and local Craftbeers. 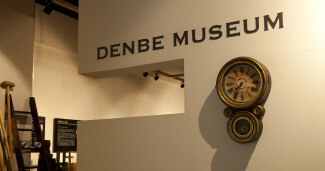 We are looking forward to welcoming you at Denbeegura.